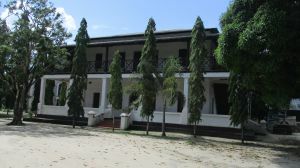 The Livingstone tower of Bagamoyo is a two storey high, 2 x 2 m (approx) building that is named after the great Scottish explorer Dr. David Livingstone and is located inside the compound of the Catholic church of Bagamoyo - Tanzania. 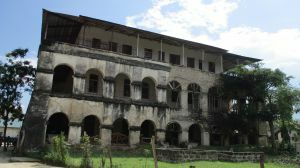 It is said to be the remains of the oldest church of east Africa, as well as part of a larger historic remains site that consists of buildings such as the Holy Ghost fathers house, the sisters house (now museum), the dispensary, the baobab tree and the missionary cemetery all of which date back to the late 19th century or early 20th century. 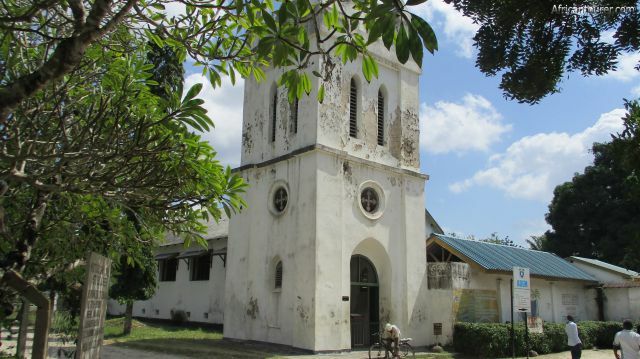 A history of the towerThe tower was built by father Anthony Horner in 1872 as part of the first church of the Holy ghost mission and presumably the oldest in east Africa. The church itself was later on dismantled and a new one built nearby that still stands today. After his death and being transported from Zambia by his two porters (Chuma and Susi), Dr. Livingstone's body was interred at the tower for one night (24th - 25th of February 1874) while awaiting transportation to Westminster, London . Because of this, the tower was renamed in his honor. What to do there?Nothing much, except admire the architecture of the tower, the artifacts inside it and read the descriptions. The tower is quite small and much of it has already been renovated with modern materials such as a cement floor and paint. There is a building next to it, although this is presumably not the old church. Other than that, you could check out the missionary cemetery at the end of the road that is left of the tower or the sisters house (now museum), the church and the Holy Ghost fathers house. 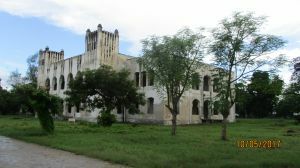 The Livingstone tower of Bagamoyo is located at the end of Mango drive and inside the Catholic church's compound, in the northern part of the town of Bagamoyo - Tanzania. 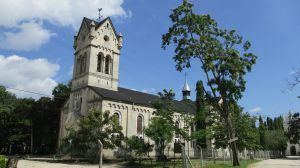 It is also behind the current (stone built) church and next to the gates of a teachers college, the church's dispensary, the holy ghost mission fathers house and the catholic museum. For more information on its location, please see the map below (click to start). 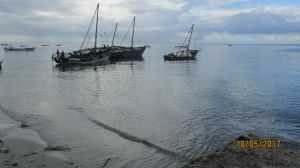 How to get there?Head north from the town centre using the tarmac paved road that goes along the beach, until you get to Mango drive (a long stretch of dirt road with Mango trees on either side). 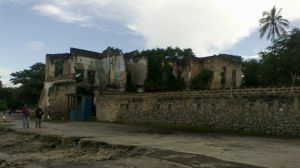 Turn onto Mango dr. and head to the end, the tower should be visible straight ahead when standing between the church (left) and the ruins of the fathers house (right). Are you associated with Livingstone Tower ? Contact us to improve this page or create another page for your business.